This is one kind of raita, generally prepared on Janmashtami day. 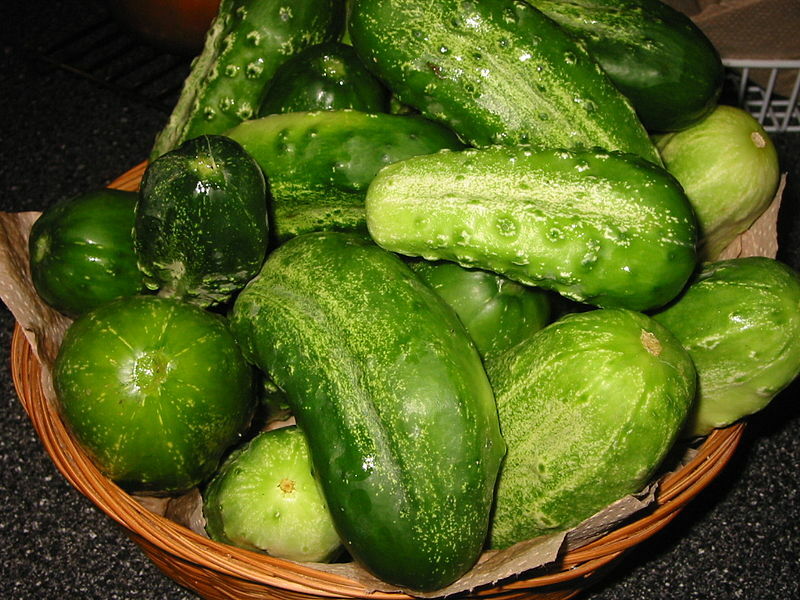 After the pooja, this is served along with other prasad.The cucumber used for this is called pickling cucumber, having bumpy skin with tiny white or black-dotted spines. Its colour can vary from creamy yellow to pale or dark green. Read more on Janmashtami Festival Here. In a vessel, mix all the items except the last four. Season with the last 4 ingredients. Bhuttha Sassam(Jackfruit Rags Raita) Type-2. This is a chutney type side dish for meals. Soak tamarind/dried mango in little water. Grind all the condiments, using water to a fine paste. Crush the fried rags with hands. Add rags and coconut oil to the ground paste and mix well. If necessary, add water, if necessary, to get the required consistency. This variety of raita goes well with meals. De-skin the stem with knife. Wash and cut into small pieces.Pressure cook with sol, green chillies, hing and salt using 2 cups of water. Add coconut scrapings and curd and mix well. Do phannu(season) with mustard seeds in oil. Clean and peel the mangoes. Grind coconut scrapings and the chillies to a very fine paste. Roast the mustard seeds and powder it. Dissolve jagerry in very little water. Mix all the above processed items together and keep aside for 30mts. Sassam is ready for serving. Grind coconut and green chillis to a very fine paste. Mix it with the pineapple pieces. Add sugar, salt and the curd and thoroughly mix. Do phannu(season) with mustard seeds, jeera and curry leaves in oil. As all the ingredients are raw and the curd ferments over the time, this dish cannot be kept for more than a few hours. GODA PHALA SASSAM(MIXED FRUIT RAITA). This dish, a nutritious one by virtue of the very combination of many fruits, is a side dish served with the meals on festival days in the konkani homes.It is very tasty too. Clean and cut the fruits into small pieces. Grind coconut scrapings,chilly and the mustard seeds to a very fine paste. Add the paste,salt and sugar to the fruits and mix well. Fruit Raita is ready to serve. Sassam can be made with single fruit also. BHUTHA SASSAM(JACKFRUIT RAGS RAITA) Type-1. The white long ribbon type rags of the jackfruit is usually thrown away as garbage after using other parts of the jackfruit. But the konkanis in their wisdom of optimising/maximising the use of nature’s blessings make use of these rags, for the preparation of some unique cuisines.One of the delicacies made from the rags is raita. Shred the rags from its base, add a little salt, mix well and keep it for 15 mts. Squeeze the salted rags and remove the moisture in it and deep fry in oil, till crisp. Lightly crush the fried rags with hands. Grind coconut and green chillies to a very fine paste(masala). Add the masala, a lttle salt and the broken fried rags to the curd and thoroughly mix. Do phannu(season) with mustard seeds, jeera and the curry leaves in oil. The Raita is ready.